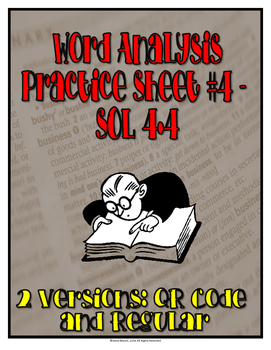 Do your students need some additional practice with word analysis questions? Then check out this QR Code practice sheet! These questions have been closely aligned to released SOL questions to help students better become acquainted with word analysis questions. 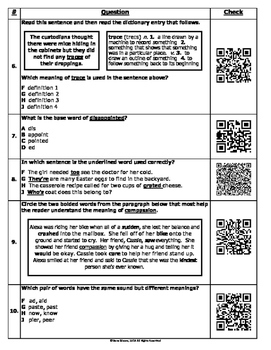 This fourth practice sheet includes ten questions and self-checking QR codes. Don't have access to QR code scanning technology? That's okay! There's a second version attached to this file that eliminates the QR codes and has a regular answer key.